This 108 bead mala necklace has 108 beads with one Tibetan 9-eye Dzi bead. It is believed that each bead can evoke an energetic frequency. It has a range of significance across many different disciplines and cultures. Tibetan 9-Eye DZI bead is the emperor of all DZI beads. It helps to enhance power and purify negative energy. It is believed that the DZI necklace can act as the EYES that can watch out the bad spirit and the EYES don't let the evil come to you. The 108 beads are made made of seed. Each of the bead is approx. 3/8" x 3/8" x 1/4". 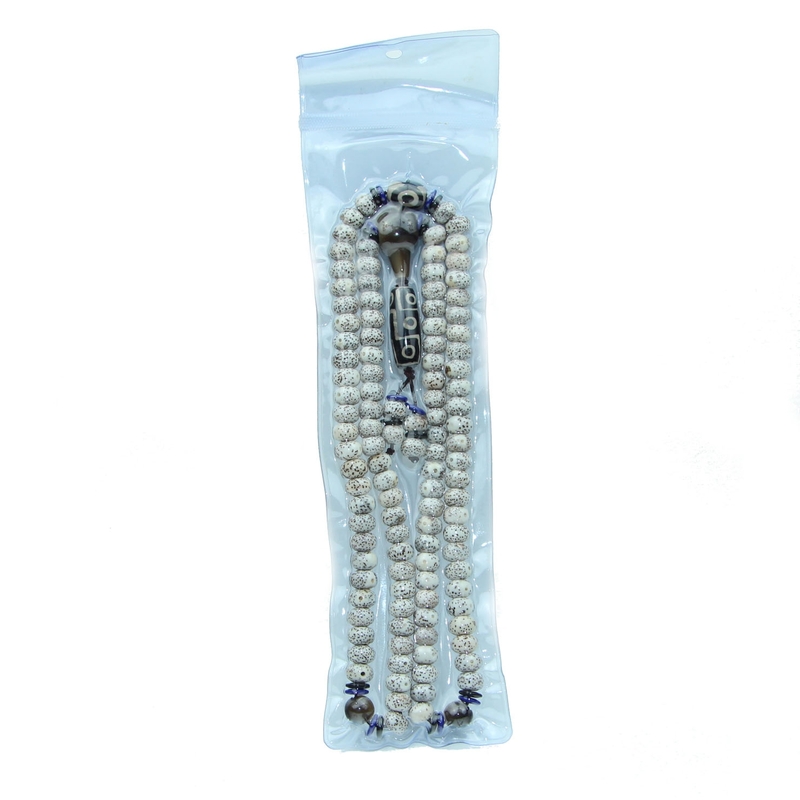 The overall length of the necklace is 30". The whole 108 bead necklace is sealed without air in one plastic bag.